Yes, yes, it’s not Monday. I know. This post has been on my screen, half finished, since yesterday. I’m pretty sure that computers, with their ability to switch between tasks but keep them all active, are responsible for my inability to finish one project before going on to another. No matter, it’s posted now. Purim is this week, and after that it’s four weeks until Pesach (Passover.) For those of you just joining us, and not Jewishly knowledgeable, I have to get rid of all leavened foods, including most grain products, and thoroughly clean out my kitchen (and any other parts of the house leaven might be hiding, which in my case is everywhere. Seriously, sometimes I find Cheerios behind the toilet.) Thus begins the “great clearing-out”, which is when menu plans get weird because I’m just trying to use up all the food in the kitchen before Pesach arrives and I have to throw it away. That’s why I’m back at the menu planning thing: I want to make sure we use as much of the existing stuff as possible. Hopefully it’ll make grocery shopping faster and cheaper, too, since I only want to replenish perishables as needed. If we run out of cereal a week before Passover, I’m pretty sure we can do without it. Friday -Dinner at my parents, with challah baked by moi. What are you eating this week? No clue? Check out the other Menu Plan Monday submissions. 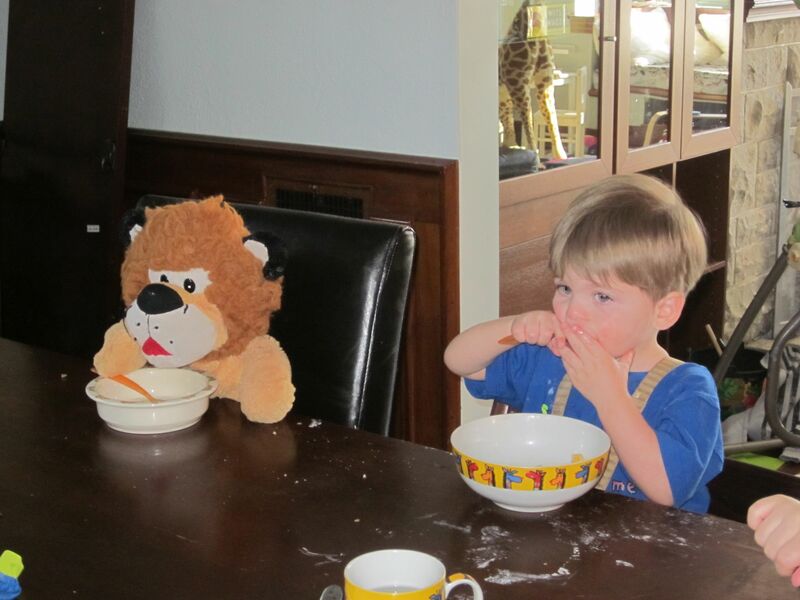 All recipes here at sweet & crunchy are "kid-tested, lion-approved."